I think it's become pretty obvious that I can't get enough of Real Techniques brushes. I have been nothing but pleased with the Real Techniques brushes I have tried so far, so it seemed only natural that I add another one to my growing personal assortment. The expert face brush ($8.99) has been on my wish list for a very long time, and I am so glad that I finally got my hands on it. It's a good one. 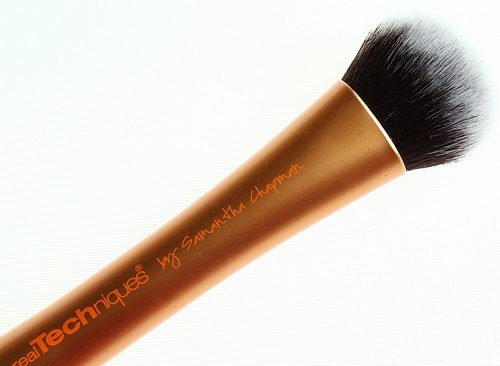 The expert face brush is comprised of super soft taklon bristles, and it's one that is very well loved in the beauty blogging community. I have read countless reviews on how well this brush applies liquid foundation-which was the intended purpose I bought it for. But I have to say, I think this brush excels in another department. More on that later. So, I tried to work the liquid foundation onto my skin with this brush and although it did the job, I found that the brush was too firm for my liking. I prefer a much fluffier brush, which allows for a gentler and quicker buffing experience-like the Real Techniques buffing brush from the core collection, for instance. While the expert face brush doesn't quite do it for me for liquid foundation application, it does a fabulous job at blending cream blushes. I never really had a proper brush for cream blush application, other than stippling brushes. Even those left something to be desired. The expert face brush kicks them all to the curb! I dab a bit of cream blush onto the apples of my cheeks, and let the Real Techniques expert face brush get to work. This brush effortlessly blends out the cream blush on my cheeks, and the end result is a natural looking, well blended flush of color. Love it! 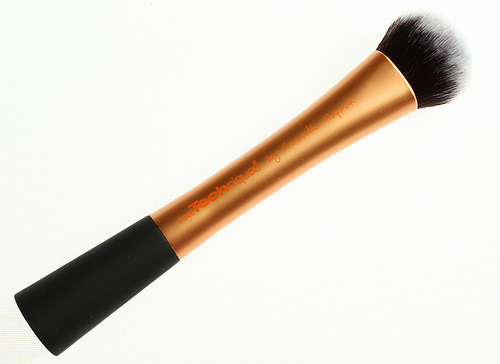 As with all the Real Techniques Brushes that I have tried, the expert face brush is of great quality. It's really sturdy, and after a good cleanse it always retains it's shape and softness, once dry. 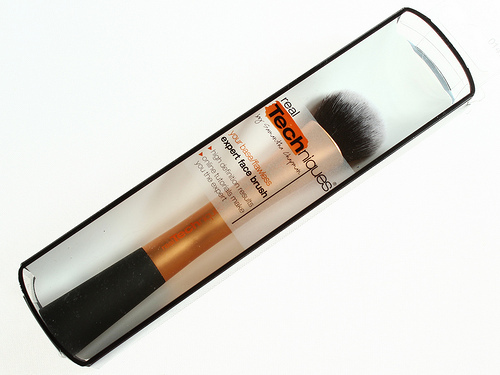 Overall: If you are on the market for a firm face brush, the Real Techniques expert face brush will surely not disappoint. I can't recommend this brush enough for cream products. I haven't always been very comfortable with cream blushes, but I think it was because I never found the right tools to apply it with. Now that I have seen that the expert face brush makes cream blush application not so scary and a pretty easy process, I am much more open to experimenting with more cream products.